Are you feeling the anxiety of starting a new business and not knowing what to do first? There are no guarantees in selling but if you are limited on time or resources you will want to consider the amazing effects of producing a telesummit. Choose a topic that is related to your product or service. The effect will be a close knit community that will support you in growing your business. This article is not a comprehensive guide but it can help you start along your path to a successful telesummit. After listening to over 100 hours of telesummits I stumbled on the secret to creating a professional and savvy telesummit for your personal brand. The number one secret to having a professional telesummit is preparation. With proper planning you can ensure a smooth, organic flow of information. This will not only improve the experience of your participants but it will dramatically reduce your stress level during your event. While this may seem obvious, the success or failure of your event is in the details. It’s not enough to simply round up good speakers to drive signups. For your telesummit to be a success, meticulous organization and marketing planning is required. The first telesummit I attended was hosted by Yvonne Bynoe, the title of which was the “Profitable List Summit.” Nearly two years later, I still find myself leveraging much of what I learned during the 2 day event. Yvonne’s telesummit featured recorded calls of 15 or more coaches, entrepreneurs, and authors. I gained valuable tips on building and marketing to email lists, most of which I use in my daily marketing efforts. Additionally through the telesummit, I joined several marketing lists and continue to get valuable insights from them on a daily basis. Have you ever considered building an email list using a telesummit? Just as I learned in my first telesummit, these virtual events provide a great opportunity to establish yourself as an authority and to build valuable email lists. Not sure where to start? Check out this list of the tools and resources you will need to make your telesummit a success. I included a web designer at the top of this list because, next to your speakers, your designer will be integral to the success of your telesummit. Your web designer will help you update and maintain your promotional website. I have completed more than 20 online events since my first telesummit. During this time I have been struck on several occasions by the number of website updates required during a single telesummit. Having a responsive and trusted web designer on your team will be key to your success. You will need to make some very important decisions at the beginning of your telesummit planning. Will your event be free or include a registration fee? Will you be sharing any of the profits or will your speakers be legally required to promote the event? These are all very important elements to consider. The best way to make these decisions is to consider your end goal. Do you aim to grow your downline? If so, charging a fee is not likely in your best interest. However, if you are sharing insights and best practices on finding success in the direct selling or multi-level marketing, you may want to consider charging attendees. If you do decide to include a registration fee, make sure to negotiate any affiliate terms of shared revenue from your event ahead of time. Get it in writing. Create a legal joint venture contract using an attorney. Before you launch, make sure that your telesummit visitors will have a “seamless” experience. Ask friends and family to test the process from start to finish before the official launch of your telesummit. 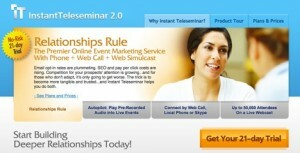 If you are charging for your event, consider using PayPal along with a tool like InstantTeleseminar 2.0. They are currently offering a 21 day trial on their website. Most telesummits require 3-6 months to organize. Be sure and determine if InstantTeleseminar 2.0 or another recording platform is right for you. The third item on your list for preparing a telesummit should be a tracking sheet. Google Drive or Google Docs are particularly valuable if you are planning for a telesummit. The best part is, that these tools are free! If you are skilled at building websites or have someone who is, then FreeConferenceCall.com might be right for you. I was very excited to find out that the organization that runs FreeConferenceCall.com now also provides recorded screen sharing and audio recordings. The best part is that in 2015 they now have an app for conference sharing. This is great especially for your international audiences that may not be able to call internationally for long periods of time because of long distance fees and charges. The advantage to a telesummit is the experience being recorded. Each teleconference can be created once and leveraged over and over again. You can offer the replay for weeks, months, even years of marketing and lead generation for a niche market of customers. 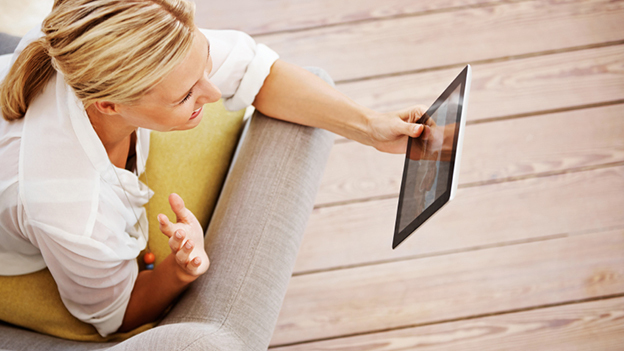 Keep your promotional images and advertisements and turn the content into an ebook. In conclusion, if you build a telesummit event on top of great technology and marketing, you will do two things. First, you will build your own list of people to advertise to. Your speaker’s fans will become your fans. Secondly, you will grow your reputation as an authority and grow your downline. As a professional you may be limited on time. When launching your direct selling or multi-level marketing business, consider organizing a telesummit for creating long lasting success!